National Federation Party candidate Attar Singh says how can a party go into elections without a manifesto while Minister for Employment and FijiFirst candidate Jone Usamate says their main focus is to continue with the successful policies that they have implemented. While speaking on Straight Talk with our News Director Vijay Narayan, NFP's Attar Singh says FijiFirst has not released their manifesto while people are grilling the NFP for their manifesto. Singh says it is policies and not a budget. Usamate says their manifesto will be the continuation of the good things that they have done and people have seen this. Usamate says that they are very confident that they will win the elections and they will continue to fine tune their policies. When asked if NFP could work with FijiFirst, Singh says they are not thinking of a coalition at this time as NFP is aiming to form Government on its own. Singh says FijiFirst will be surprised. Meanwhile, Prime Minister and FijiFirst Leader Voreqe Bainimarama and SODELPA Leader Sitiveni Rabuka will appear on Straight Talk at 7.30pm this Sunday. Both Bainimarama and Rabuka have also confirmed their availability for a debate in the iTaukei language from 6pm to 7pm on VitiFM this Sunday. Both party leaders will then appear on Straight Talk from 7.30pm onwards on the same day. 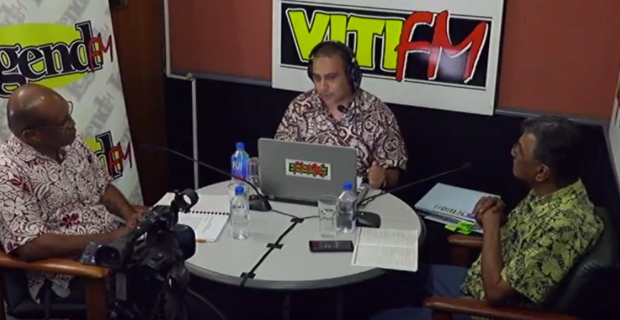 You can listen to Viti FM on 92, 92.2, 92.6 FM. You can also watch Straight Talk live on our Facebook page, fijivillage.